It should come as no surprise that mobile phones have penetrated the market and and become a large part of our daily lives. We are using mobile phones much differently than we used to, and in order for companies to stay competitive it is essential for their website to be optimized across multiple platforms. Coming up next week is Mobile World Conference, where industry leaders from across the world come together to discuss how mobile is changing the way in which we communicate. Check out some of these infographics courtesy of IBM Smarter Comms on mobile use and data. 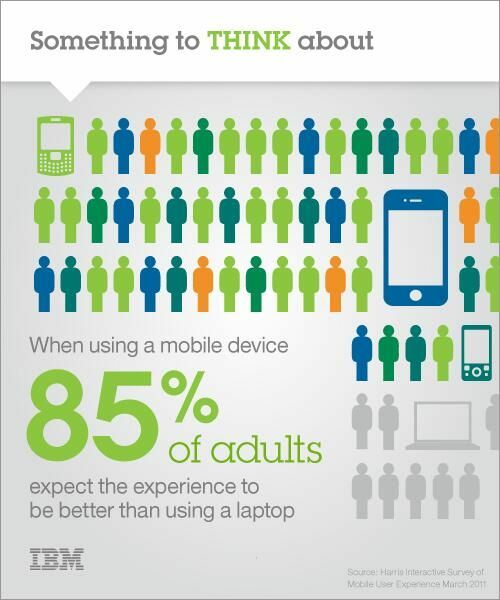 #1: 85% of adults expect the experience on a mobile device to be better than a laptop. 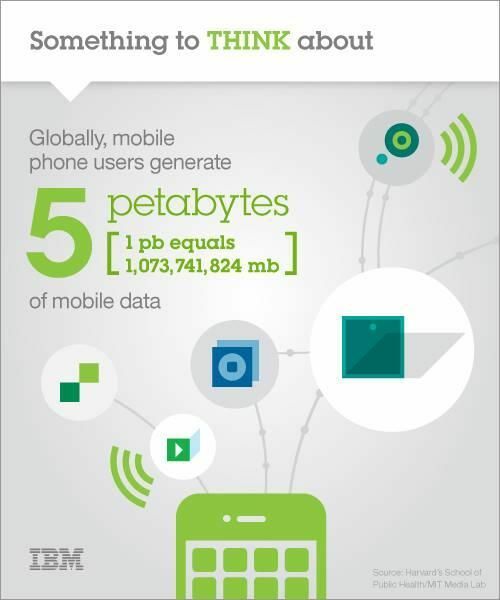 #2: Globally, mobile phone users generate 5 petabytes of mobile data. #3. 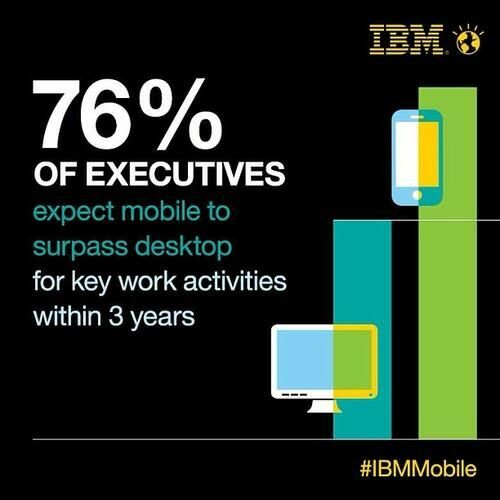 76% of executives expect mobile to surpass desktop for key work activities within 3 years. #4. 90% of users use multiple screens as channels come together to create integrated experiences. #5. 91% of mobile users keep their device within arm's reach 100% of the time.